CBD Botanic is a venture made up of a small group of specialists, each with over a decade of experience in the cannabis seed industry. Based in Spain, CBD Botanic are leading the way in research and are pioneers in the analyses and development of pure CBD genetics, categorized as strains with concentrations of 8% CBD and less than 0.6% THC. All of the strains available at CBD Botanic are guaranteed to hold these percentages. 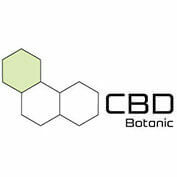 Using Gas Chromatography analysis and genetic marker implementation, CBD Botanic have vigorously tested all of their strains and they believe that they all have anti-emetic, anti-convulsant, anti-psychotic, anti-inflammatory, anti-oxidant, anti-tumoral and anti-depressive properties. Their objective as a breeder is to ensure that the product is of the utmost medical quality, whilst also offering knowledge to those unfamiliar with medical cannabis strains. Each of their strains comes with a detailed laboratory analysis report specifying its unique cannabinoid content. The strains available in CBD Botanic’s extensive library are all medical interpretations of classic, popular varieties. Their CBD Bubba Kush is a take on the classic West Coast strain, with enhanced CBD content of 8%. The legendary flavours of Bubba Kush remain but the CBD Botanic version can help with medical conditions such as Cancer, Inflammation and Muscle Spasms. Another of their popular strains, Somango CBD has direct genetic lineage to the Soma Seeds version. However, the CBD Botanic version, again, has a high CBD content of around 8% and is a perfect strain for medical conditions such as Anxiety and Depression. CBD Botanic not only have a large number of CBD-rich strains, they also create various products that are essentials for the medical cannabis market. If you are looking for purely medical seeds that offer little psycho-activity but plenty of pain relief, buy CBD Botanic seeds, available at Seedsman now.